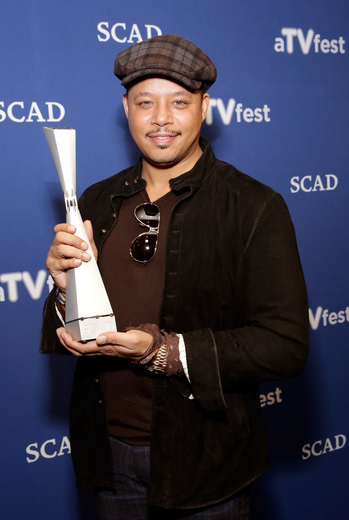 ‘Empire’ star Terrence Howard received the Spotlight Award and the students from “How To Get Away With Murder” received the Rising Star Award at the Savannah College of Art and Design (SCAD) 3rd annual aTVfest in Atlanta, Ga. this weekend. ‘Empire’ creator and executive producer Lee Daniels was also on hand for the award and a panel discussion about the hit television show. The 2015 aTVfest took place at several SCAD Atlanta locations, including the SCADshow theater, the Digital Media Center and the main SCAD Atlanta campus. For a complete list of programming, please visit: www.atvfest.com. This post was written by Nsenga K. Burton, Ph.D. founder & editor-in-chief of the award-winning news site The Burton Wire. She also serves as editor-at-large for The Root and is a contributor to The Huffington Post.